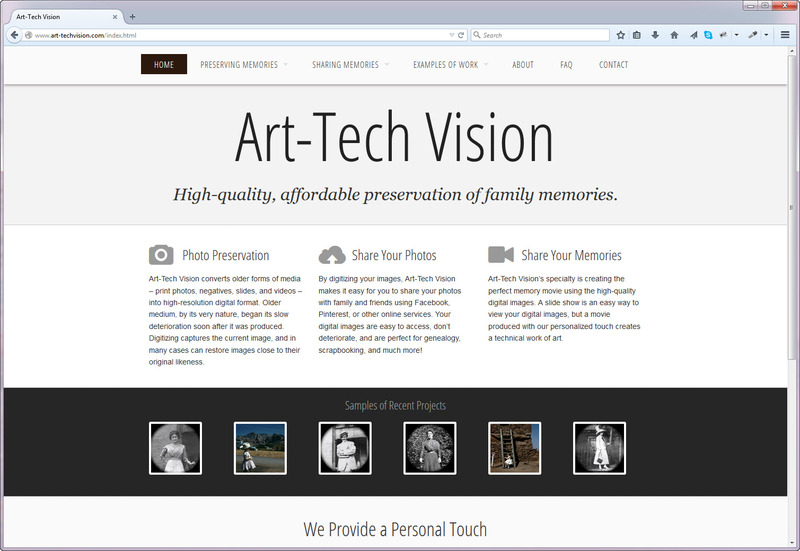 My client wanted a very clean site that made people think of slides and old family photos. One of her primary needs was to show the difference in quality between her scanning process and how much better it was versus competitors. I created a page with rollover options to show the higher quality of her scans of the same images. You can see her comparisons here. I also modified her logo to add a photo negative image for better branding. She did not intend to blog or need dynamic content, so her site is a full HTML5/CSS3 custom site rather than using WordPress.